Back in November 2018 we were thrilled to discover that we had been nominated for a Gibraltar Heritage Award. For those that have been following from the very begining then all i have to say is a massive thank you for supporting and growing the website and community with me. If you haven’t been with hs long then I’ll ill let you read on, Mama Lotties was founded in 2012 by as a method of sharing recipes that come from Gibraltar. Recipes which are inspired by the cultural melting pot that is its people and share them with the world. 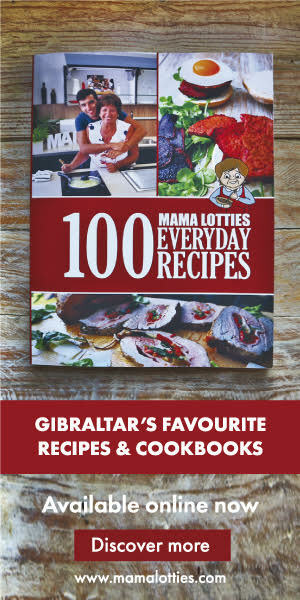 The recipes are free on the Mama Lotties website and accessible to all, whilst they are also available to purchase in the form of 3 volumes of recipe books. The concept of food sharing and local recipes and ingredients is very popular all over the world. Additionally GBC had produced 4 series of the cooking show with Justin, the latest ‘Mama Lotties Good Food, Good Mood’ ending in October 2018. Justin is continually learning, adapting and aims to bring fun back into the kitchen and make cooking fun for younger generations. I look forward to continuing to grow and discover new recipes with you as we help keep traditions alive for youger generations to treasure but also develop them so that we can fit them into a modern Gibraltar and create new traditions of our own.